Next ArticleThe Baby is Already Crawling! Health-enhancing physical activity should be understood as any form of physical activity that ensures health benefits and develops functional abilities without any significant damage and health risks. 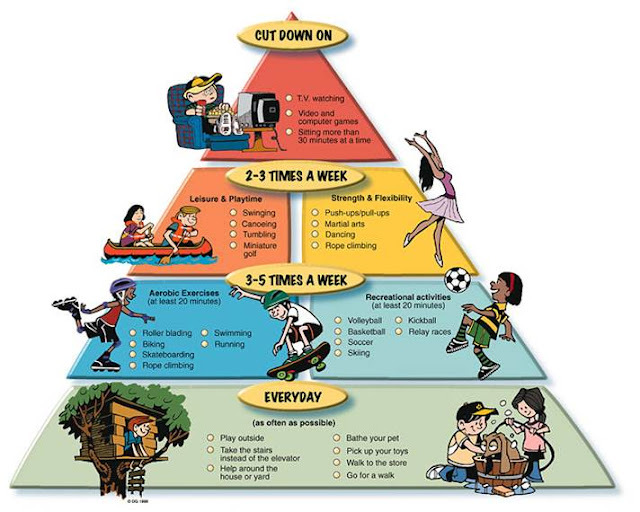 Scientific studies show that children and teenagers do not engage in enough physical activity. 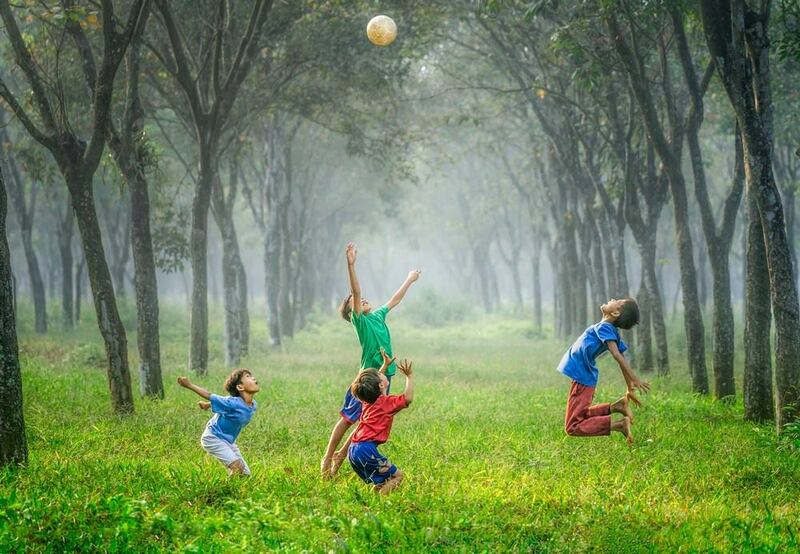 Engaging children and adolescents in regular physical activity, when accompanied with healthy eating habits, can lower their risk for obesity and related chronic diseases. Scientists suggest that children engage in physical activity for 3-4 hours a day in order to stay healthy. 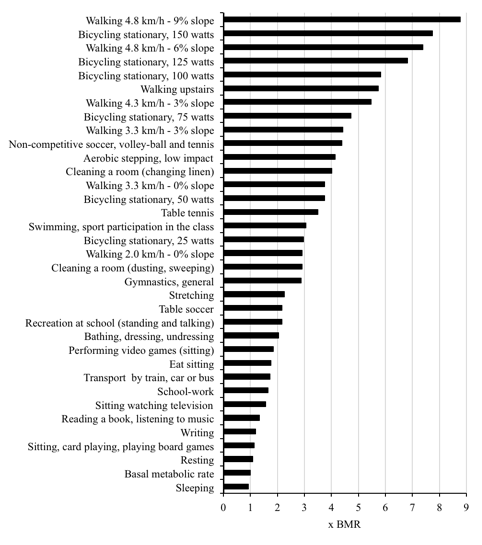 The commonly recommended threshold of walking 10,000 to 14,000 steps. Among children, boys 6 – 11 years old need to take 13,000 to 15,000 steps a day and girls need to take 11,500 to 12,500 steps a day. 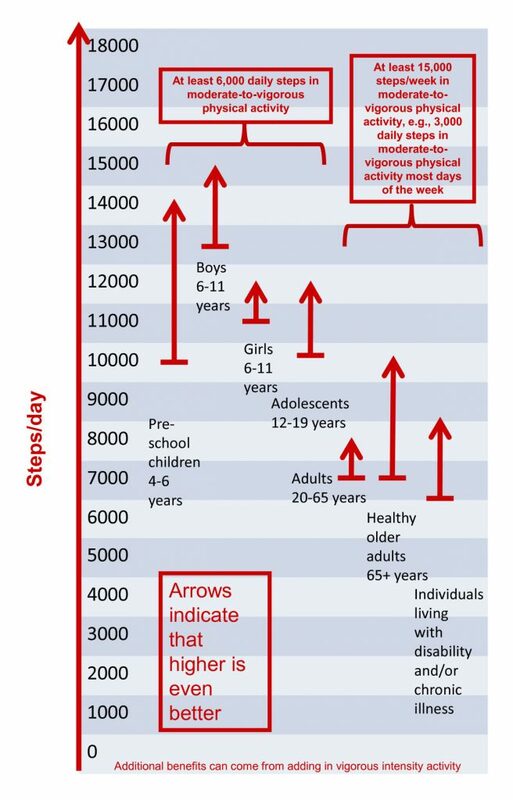 Children 12 – 19, adolescents need to take 10,500 to 12,500 steps a day. Physical activity is expressed by physical activity ratio = PAR = EE of activity (kcal×min-1) / BMR (kcal×min-1). Professionals caring for children and adolescents who are obese need information on the type, energy cost and duration of their usual physical activities in order to prescribe appropriate individual dietary treatments and activity guidelines. To encourage health, you should move with your child everyday, beginning with their very first steps. You can also encourage your child to join a sports club, and remind them to drink plenty of water! Most importantly, remember that a good mood and joyful attitude will make physical activity fun for you and your child!